OS » How is Windows 10 versions of Home, Pro, Enterprise and Education are Distinct from each other? 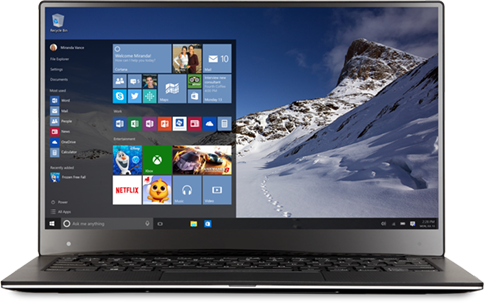 Microsoft has planned to launch Windows 10 officially on 29th July. In the following weeks after that the users of versions of Windows 7, Windows 8 & 8.1 etc, will be allowed to update automatically and freely to Windows 10. The free update can be also availed by those, who are having PC with Windows 10 pre-installed in it or have bought a copy of latest version of Microsoft’s OS for their PCs. It is expected that Microsoft will be introducing Windows 10 version for phones, Xbox consoles and other devices later this year. But for the time being, the version that is going to introduce on July 10th is designed to be compatible with Windows desktops and notebooks primarily and then with tablets with a screen size more than 8 inches. But the users don’t have to worry, since they will be provided with four different versions of Windows 10 namely; Home, Pro, Enterprise and Education. Now the company has come up with explanation show the different versions of Windows will be different from each other based on the functionalities each of them provides. All the four versions of Windows OS have got a Start Menu and Edge browser for surfing on internet. They also have got support of Cortana Personal Assistant software. The security features of the software have been enhanced with features like facial and fingerprint recognition. Along with these features above, Microsoft also loaded the latest version with virtual desktop support. Microsoft have introduced continuum mode which enable the user to convert their PC into a tablet after detaching the keyboard from the device. The feature differences come mainly to the business supporting applications in Windows. Windows 10 Home version doesn’t have the features like BitLocker Encryption, Group Policy Management, Enterprise Data Protection, Windows Remote Desktop and certain alike features which are mainly available in Windows Pro version and other higher versions. But certain characteristics like AppLocker, Windows To Go Creator, Credential Guard and Device Guard are not supported in Windows Pro. Also the feature called, ‘Long Term Servicing Branch’, is available only for Windows 10 Enterprise users only. This feature is meant to customize the option to delay certain updates that Windows is going to provide in coming years, but resume security updates at the same time. Another interesting thing is that you cannot enjoy certain services provided by earlier versions of Windows in Windows 10. This includes old assistance for DVD playback is not available with Windows 10 anymore. If you want to have this assistance, then you will have to install a third party video player to support it. Another service which is not available with Windows 10 is Windows Media Center. Wndows 10 launching on 10th july or 29th july ?? i saw in some blogs that windows 10 launching on 29th july . Thanks for notifying us. Updated the date.